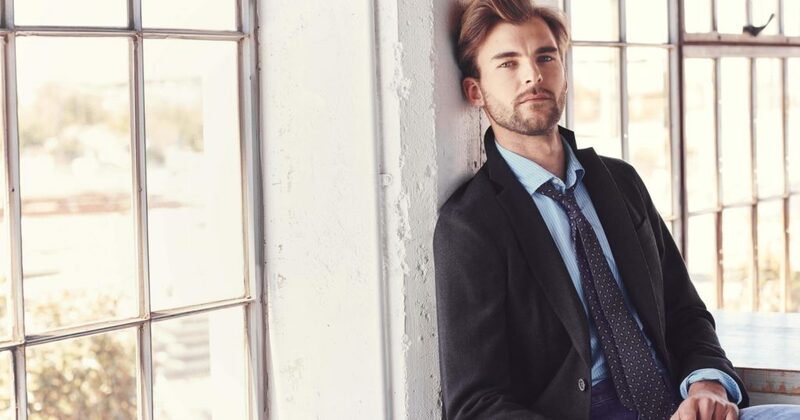 Fall is in the air which means it’s time for “Back to School” shopping and, as your J.Hilburn stylist, I’m here to help introduce you to the first ever custom made J.Hilburn Casual collection that is perfect for fall (and every other day of the year). As your Stylist, I am happy to announce the newest J.Hilburn collection, Casual. A collection of casual, yet pulled together staples for an elevated answer to the evolution of the office dress code. 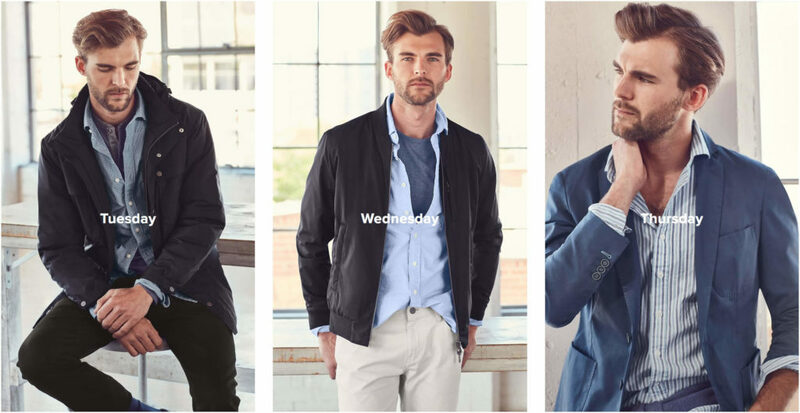 From the Monday morning meeting through Sunday afternoon errands, J.Hilburn’s Casual Collection is designed with your life and your custom-made fit in mind – 24/7, 365 days a year. It’s the collection you’ve been waiting for, that makes dressing for every day of the week easy and enjoyable. Dressing for the week can feel like a daunting task. You’re busy and don’t have time to focus on putting looks together. So, don’t. instead, focus on on what makes you happy and leave the wardrobe planning up to me. This month, I’d like to present the newest pieces you’ll want to dress well every day of the week. Start the week with your best foot forward. Try the sophisticated causal look that starts with classic leather sneakers and a custom-made silk tie to take your favorite denim into the workweek. Or during those days workdays that are a little more low-key, kick your 5-Pockets and blue oxford shirt up a notch by swapping your sport coat for our new reversible Bomber jacket for a cool twist on this business casual classic. For another great workweek outfit, you can pair your solid cotton sport coat with casual stripes for an easy look that transitions from the office into happy hour. There’s plenty of staples that can be layered together for the ultimate workweek outfits. Once I learn more about your personal style and size, I can help select the perfect staples that can be mixed and matched for every activity you have during the week. Finding your weekend go-to is just as important as your weekday staples. When it comes time to the weekend, you don’t want to have to worry about looking good, so that’s where I come in. My favorite weekend look is a bold check paired with the softest cotton sweater and grey denim in your favorite fit. You can wear it as the new casual Friday and start the weekend early. 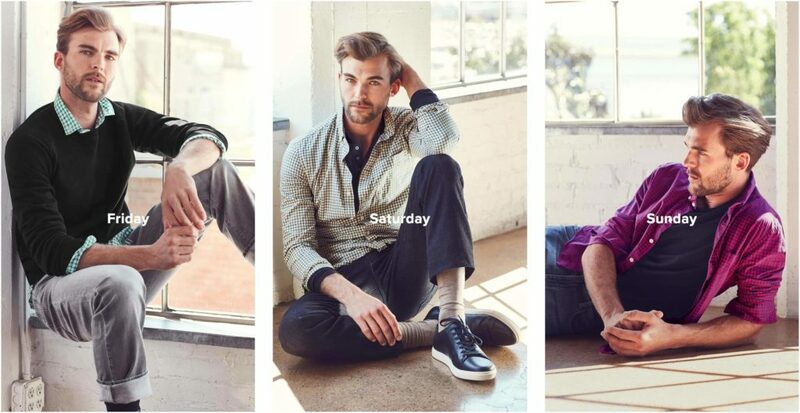 On Saturday and Sunday, it’s about being extremely comfortable, while maintaining your style. So, when you can’t choose between your two softest shirts? Go for both. Take the look from day to night with a deconstructed navy sport coat. Or, another easy go-to is a casual check button down for a winning weekend look. You can wear it with a reversible vest, or layer it over your softest jersey tee. The options are endless for casual, comfortable style, and we can work together to find the right ones for you. The Casual collection is carefully curated staples that can take you from the boardroom to the weekend in seconds. We can work together to pick out the perfect selection to make your style feel effortless. If you’re still wondering how to find the perfect look for fall, feel free to reach out to me for more advice or even schedule a style consult. We will pick out the perfect casual, yet elevated pieces that you can wear 24/7, 365 days a year. Also, if you have any other questions that we have not covered, please reach out to me so we can discuss your needs and set up a time to get you fitted for your first order of personalized J.Hilburn clothes. Looking forward to getting to know you!